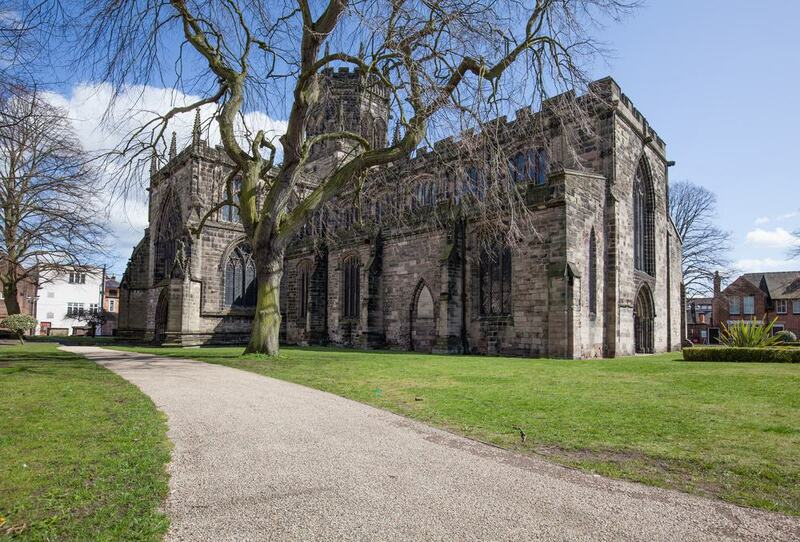 Staffordshire’s county town is essentially a small market town on the River Sow, but has much to hold your attention. There are two historic churches, one of which has very rare 900-year-old Romanesque decoration. On the Market Place, Shire Hall is a bold Palladian courthouse currently awaiting a new vocation, and the Ancient High House is the largest timber-framed building in the country. You’ll never have to travel far for something interesting around Stafford. On the southeastern periphery is the Cannock Chase, an energising spread of woods and heath that used to be a Royal Forest. In this countryside sits Shugborough Hall, a National Trust estate once home to one of the UK’s most decorated naval commanders. Guarding the western approach to the town, Stafford Castle is a motte-and-bailey castle with intact earthworks from the start of the 12th century. In that time the fortress was wooden, and this was replaced with a stone keep in the middle of the 14th century. In the 16th century the castle became a royal property after Henry VIII had its owner, Edward Stafford executed because his royal blood posed a threat. Then, in the Civil War Parliamentarian forces besieged the castle and eventually took control in 1643. The monument has been in a state of decay since it was slighted after the Civil War, although some of the walls were rebuilt in a Romantic Gothic Revival style in 1813. 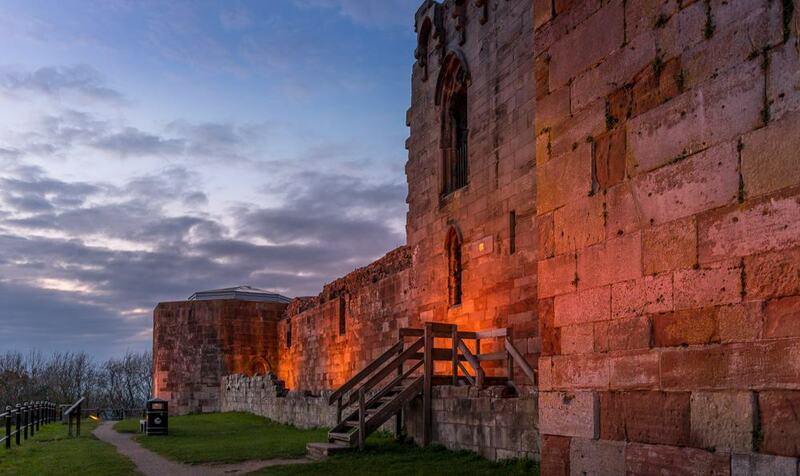 The visitor centre has a great audiovisual presentation about the castle’s rich past, and its displays of replica weapons, armour and clothing are all informed by archaeological digs. 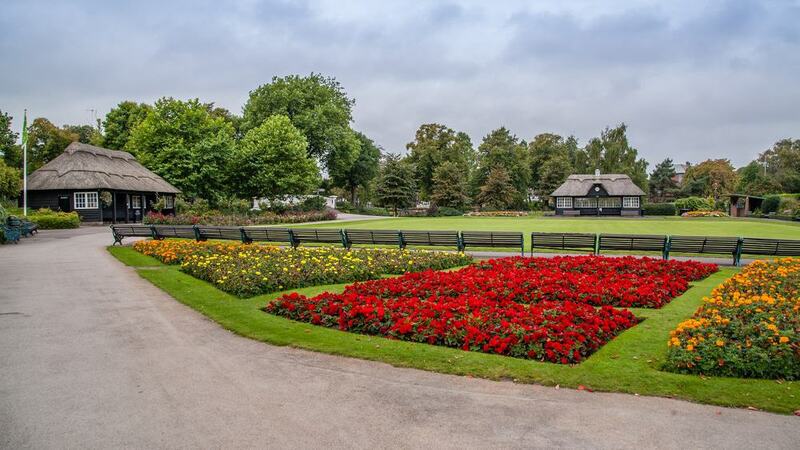 Next to the station and on both banks of the River Sow, Victoria Park is a yearly Green Flag winner. 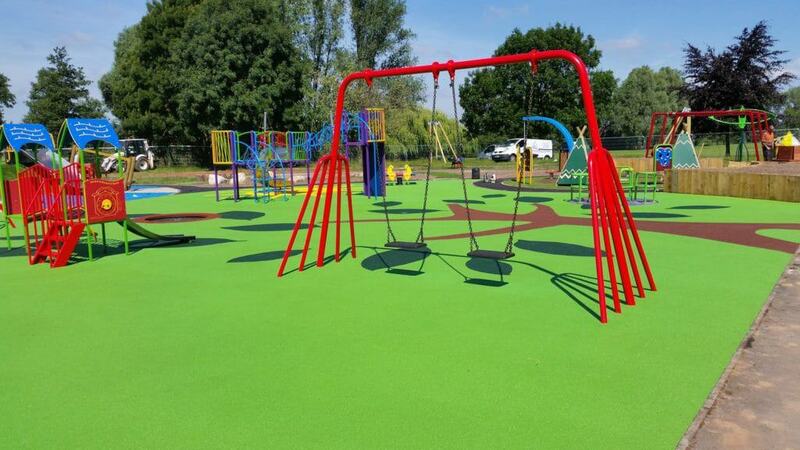 In the 2010s the park has been further enhanced with Heritage Lottery Fund projects and is a source of pride for the town. The layout of Victoria Park hasn’t changed much since it was inaugurated in 1908, apart from when it was enlarged to include sports facilities on the northwest side. Come by in summer and you can revel in bright formal flowerbeds, a raised sensory garden, a glasshouse, paths by the River Sow, a splash pad for kids and a sweet old bandstand. Something that predates the park is the Edwardian Alderman Mottram shelter, a listed monument among the flowerbeds from 1905. Britain’s smallest Area of Outstanding Natural Beauty begins just southeast of Stafford. This former Royal Forest is a region of rambling hills, with woods, purple heather and farmland. Every so often you may happen upon a glacial erratic boulder deposited here during the Last Ice Age. Signposted trails let you explore these landscapes on foot, by bike or on horseback. These routes were trodden and cycled by J. R. R. Tolkien in his youth at the start of the 20th century and the scenery is sure to have found its way into his works. 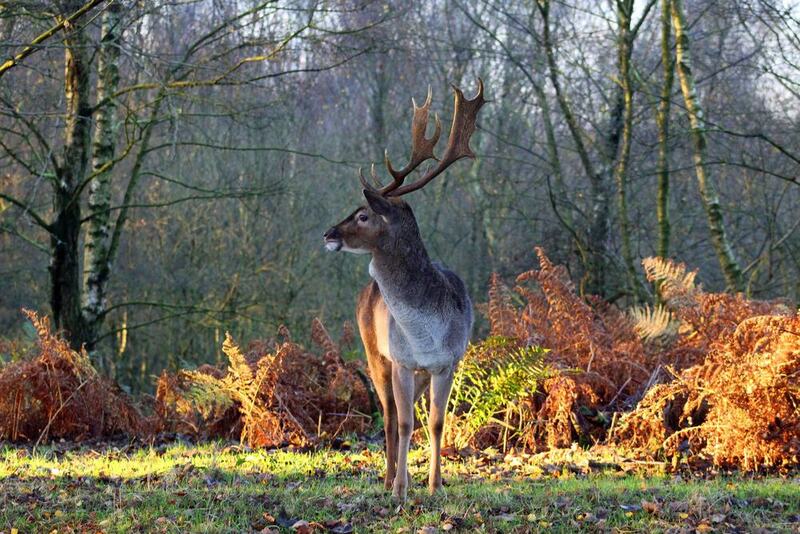 At the Cannock Chase Visitors Centre and Birches Valley Forest Centre you can get hold of information about trails, and the wildlife like fallow deer, woodpeckers and adders that you may spot on your adventure. There’s also a Go Ape high ropes centre at Cannock, with courses for grown-ups and youngsters, and a forest path for all-terrain Segways. 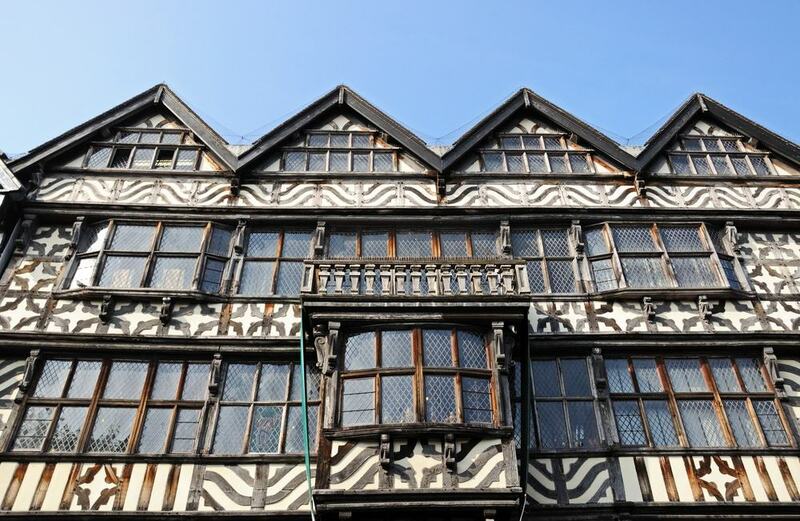 Officially the largest timber-framed house in the UK, Ancient High House is a Tudor-era wonder on Greengate Street, built in 1595. On four cantilevered storeys, the building has four triangular gables, mullioned windows and beautifully patterned studwork composed of oak from the local Doxey Wood. In 1642 King Charles I stayed in the Ancient High House at the start of the English Civil War, months before Stafford was taken by the Parliamentarians. For the past 30 years the house has been a museum, with authentic interior design that leads you on a trip through the centuries. You can see where King Charles and his nephew Prince Rupert stayed, at the Civil War Room, while the Stuart Bedroom has a fine four poster bed. There’s Georgian elegance in the Wallpaper Room, and the Victorian Room is embellished with plush furnishings and period costume. 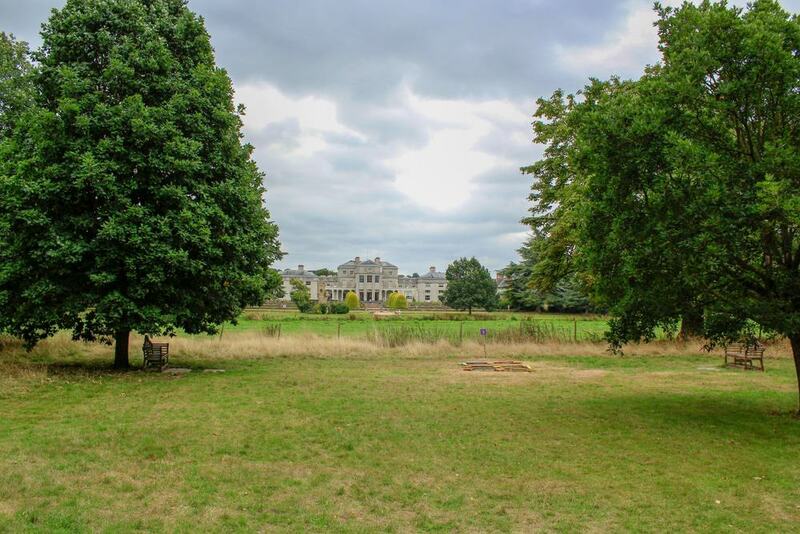 A remarkable thing about this stately home four miles east of Stafford is that the entire estate is intact, including its servants’ quarters, walled garden and working farm. The seat of the Anson family, Shugborough Hall was first raised at the end of the 17th century was then extended over the next hundred years. The house came into the care of the National Trust after the 4th Earl of Lichfield died in 1960 and is open for tours. Some of the treasures to look out for are four paintings by the Georgian landscape artist Nicholas Dall, and the 208-piece porcelain dinner service in the Verandah Room, commemorating the famed naval commander George Anson’s circumnavigation of the glove in the 1740s. There’s a fragment of the figurehead of his ship, HMS Centurion mounted on a mahogany shield in the Verandah Passage. 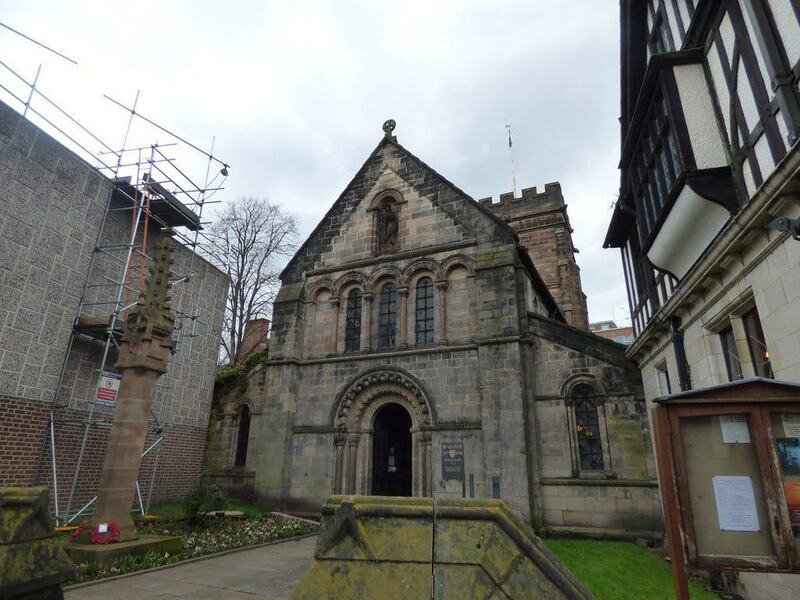 The oldest building in Stafford, St Chad’s Church dates from the 12th century and has held onto a lot of Norman Romanesque stonework. This is most impressive in the ornamental carvings on the crossing arch at the east end of the nave, which has chevrons and “beak-head” motifs on its columns. The capitals in the chancel, crossing and nave are all original, and range from simple scallop patterns to images of faces, foxes and birds. On the impost at the northeast corner of the crossing there’s a Latin inscription, “ORM VOCATUR QUI ME CONDIDIT” (the one who built me is named Orm). The chancel is flanked with beautiful intersecting blind Romanesque arches, and a later a Gothic piscina with a pointed arch. A registered charity relying on donations, the Gentleshaw Wildlife Centre in Eccleshall is a hospital and sanctuary for more than 30 animal species. Among them are several birds of prey, reptiles and primates, as well as raccoons, pot-bellied pigs, skunks, ponies, savannah cats, a singing dog from New Guinea and invertebrates. 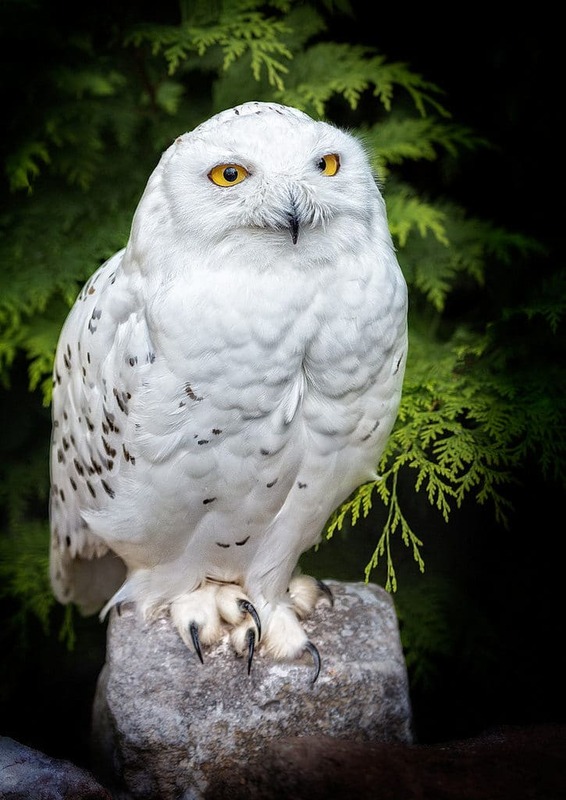 The flight sessions are a favourite, when the centre’s great grey owl, kestrel, European eagle owl, Harris hawk and Mackinder eagle owl are all exercised. During these displays you’ll find out some fascinating titbits from an experienced falconer about the birds’ diets and personalities. 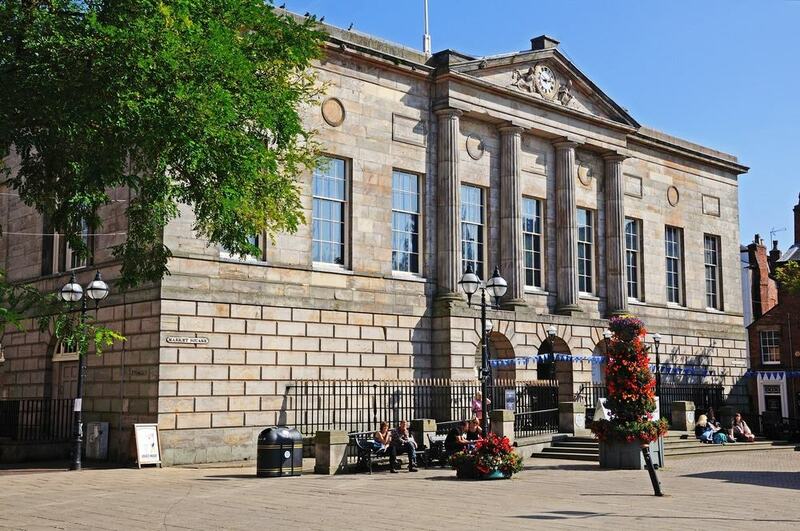 Presiding over Stafford’s Market Place, Shire Hall is a Palladian courthouse built in 1798. The architect was Samuel Wyatt, who was also building Shugborough Hall at the time. The facade has nine bays, and a Doric portico with four fluted columns. In the tympanum are allegorical sculptures of Justice on the left and Mercy on the right, either side of a clock installed in 1799. The Crown Court left Shire Hall in 1991, and its court rooms and cells were preserved in line with the building’s Grade II* listing. Up to 2017 there had been an art gallery inside, but as of 2018 the Staffordshire County Council is considering the next steps for this important landmark. Another splendid Grade I-listed church in the centre of Stafford, St Mary’s Church as it appears now dates to the early 1200s. The nave and its aisles survive from this period, while the chancel and north transept go back to the turn of the 14th century. Like many churches in the UK, St Mary’s was heavily restored in the Victorian period, by Sir George Gilbert Scott who was the busiest and most celebrated Revivalist architect of the day. In the nave cast your gaze up at the ceiling, which has rich 15th-century mouldings and bosses, while there’s a Norman baptismal font here from the start of the 12th century, carved with lions and crouching figures. In the north transept is a magnificent Renaissance chest tomb to Sir Edward Aston, who died in 1568. The town’s main live entertainment venue is a handsome Victorian neo-Gothic building on Eastgate Street. 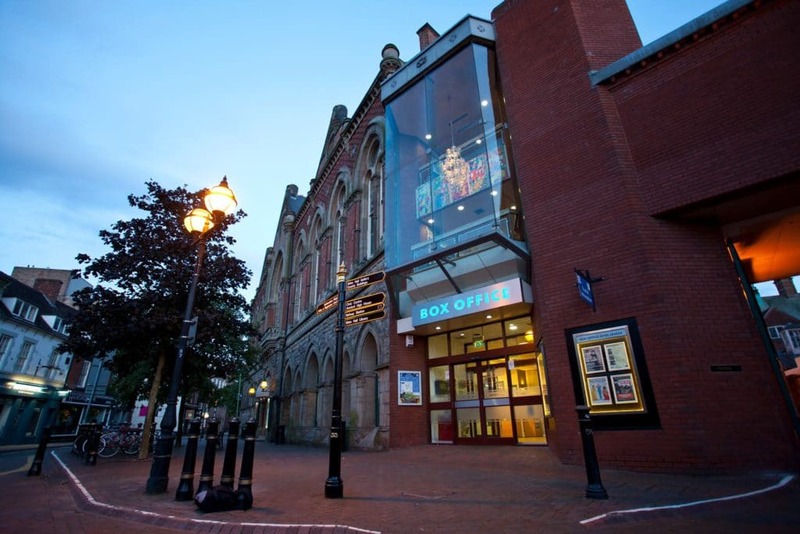 The Gatehouse Theatre caters to broad audiences with a helping o opera, ballet, drama, musicals, live music, talks, film screenings and matinees for kids. If you’re familiar with the UK’s comedy scene, Ross Noble, Julian Clary and Paul Foot were a few of the stand-ups booked for 2018. There are also live screenings of major productions from the National Theatre (Ian McKellen in King Lear was a 2018 highlight), and the venue stages performances during Stafford’s acclaimed Shakespeare Festival in summer. If you’re just passing by you can pop into the coffee shop/bar, which makes tasty Staffordshire filled oatcakes. This parcel of green space in the Wildwood suburb is particularly pretty because it’s bounded by the Staffordshire and Worcestershire Canal. The park slopes down to the water and has distant views over the peaceful and undeveloped valley of the River Penk. You can break out into the open countryside through a patch of woodland, take a picnic by the canal or hire out the tennis courts. There’s a vast, newly updated play area for children and a skate park with a bowl and half-pipe for bigger kids. In 17 acres of picturesque countryside, the Amerton Railway is a narrow-gauge line built by enthusiasts in the early-1990s. The first trains ran in 1992, but it was another decade of painstaking work before the railway became a full loop. The engines, and even some of the infrastructure like a signal box, have all come from long defunct quarry and mine railways. “Isabel” for example was built in 1897 and ran the Cliffe Hill Mineral Railway in Leicestershire, while “Gordon” is a modern engine manufactured for the Allerton Bywater and Castlebridge collieries. Bring younger members of the clan for a ride on a diesel or steam train on weekends or during the week on school holidays. 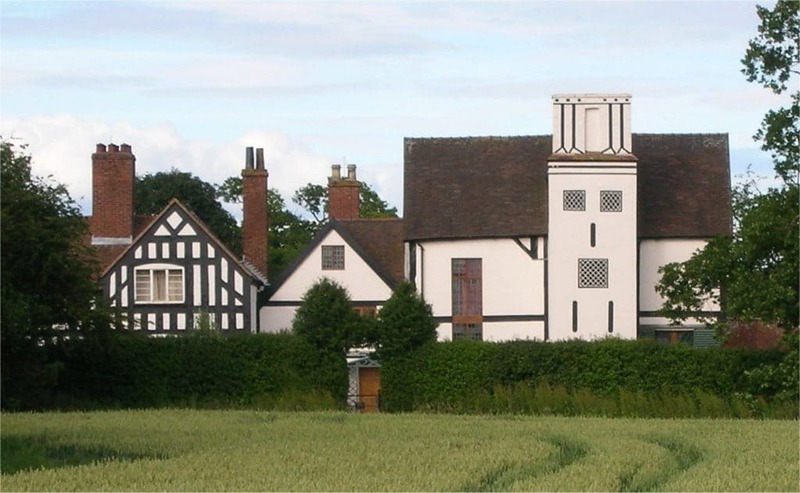 A slightly longer excursion down to Bishop’s Wood in Shropshire, Boscobel House is a historic English Heritage property that was involved in Charles II’s escape from England after his defeat at the Battle of Worcester. The future king was given shelter at this farmhouse by the Giffard family, who were Catholics and so at odds with the puritan Parliamentarians. Boscobel House had already been used to hide Catholic clergy, as you’ll discover inside where there are two priest holes. The future king spent a night in one of these spaces, as well as a whole day in the hollow trunk of an oak tree on the property. A descendant of this tree is out in the grounds, while there’s a parterre knot garden with an arbour, where Charles II is believed to have passed a few hours. 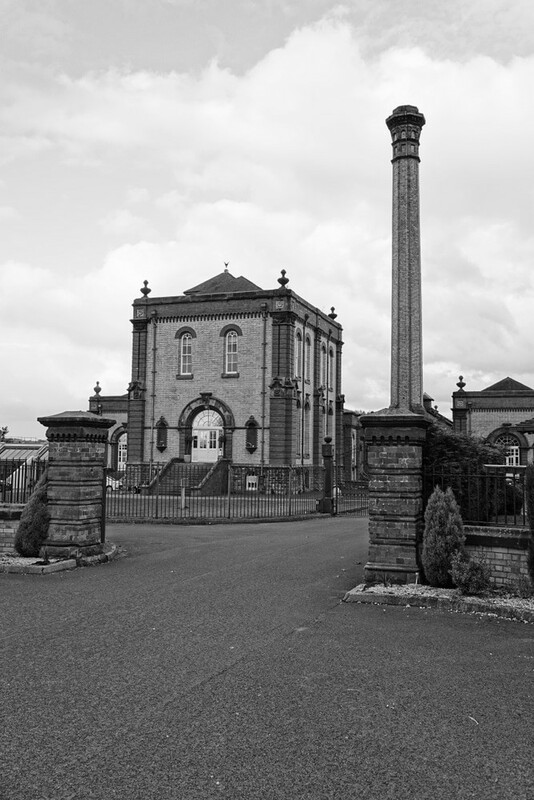 If you’re wondering what to do on a Sunday, this Edwardian water pumping station five miles west of Stone opens its doors from 12:00 to 17:00. This facility was built to supply water to Staffordshire’s Potteries further north, drawing water from boreholes deep in the ground to a reservoir in Hanchurch. The station shut down in 1979 but the two titanic horizontal tandem compound steam engines, as well as well head gear, weir pumps and three Lancashire boilers are all preserved and in place. Check the website for occasional steaming days, when these industrial monsters are reawakened. Looking at menus around town, you may see something called an “oatcake”. This delicacy differs from the Scottish biscuit of the same name, which is why people use the prefix, “Staffordshire” outside the county. 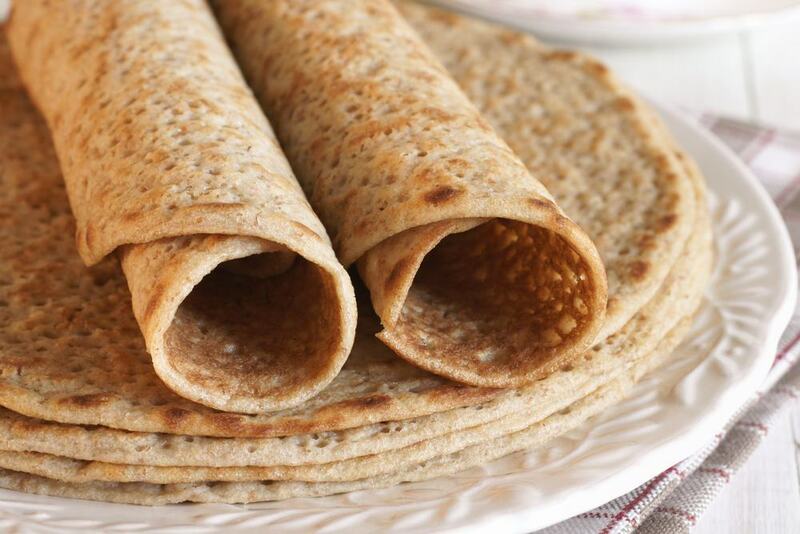 Staffordshire Oatcakes are savoury pancakes made from oatmeal, yeast and flour, and are pretty versatile: They can be filled with cheese, sausage, bacon, egg, mushrooms, tomato, or some combination of these ingredients. The delicacy originated in the Potteries in the north of the county in the 19th century when they were cooked on hotplates over open fires. If you want you can have them with sweet ingredients like jam or syrup, but this isn’t considered authentic.